A subfamily consisting of a single east Asian genus with an indeterminate number of species. Calinaga has been enigmatic and difficult to place in or close to any other nymphalid taxon (Ackery et al. 1999). Lately, Wahlberg et al. 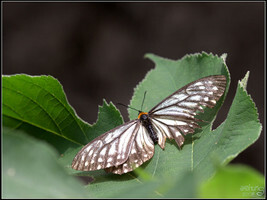 (2003, 2005) and Peña et al (2006) have shown based on DNA sequences that it is associated with the Satyrinae and/or Charaxinae. Ackery PR, de Jong R, and Vane-Wright RI. 1999. 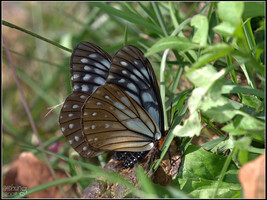 The butterflies: Hedyloidea, Hesperioidea and Papilionoidea. In: Kristensen NP, ed. Lepidoptera, moths and butterflies. 1. Evolution, systematics and biogeography. Handbook of Zoology 4(35), Lepidoptera. Berlin: de Gruyter. 263-300. Wahlberg N, Weingartner E, and Nylin S. 2003. 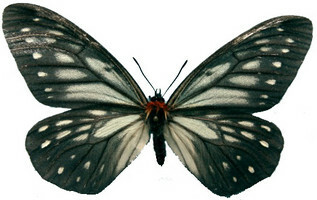 Towards a better understanding of the higher systematics of Nymphalidae (Lepidoptera: Papilionoidea). Mol. Phylogenet. Evol. 28: 473-484. Page: Tree of Life Calinaginae Moore 1895. Calinaga Moore 1858. Authored by Niklas Wahlberg and Andrew V. Z. Brower. The TEXT of this page is licensed under the Creative Commons Attribution License - Version 3.0. Note that images and other media featured on this page are each governed by their own license, and they may or may not be available for reuse. Click on an image or a media link to access the media data window, which provides the relevant licensing information. For the general terms and conditions of ToL material reuse and redistribution, please see the Tree of Life Copyright Policies.